In June 2017, the Grenfell fire killed 72 people in a 24-story tower block in West London. 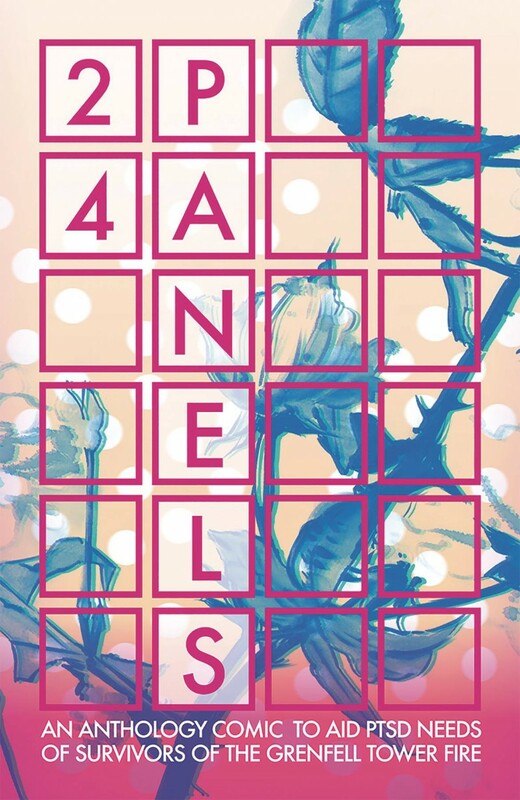 24 PANELS is an anthology comic to support the PTSD needs of the survivors. Curated by KIERON GILLEN (THE WICKED + THE DIVINE), it features 24 stories, each no longer than 24 panels. Half drawn from professional creators who volunteered their time and half drawn from open submissions, 24 PANELS is about community, hope, and (most of all) raising as much money as possible.